What I got from this week's TGIM is the importance of understanding that everything you do has the potential of significantly improving your life. This is why it's important for us to give 100% of our energy to those tasks in order to maximize their potential benefits. At the end of the day, whatever you do for others always affects yourself in one way or another. 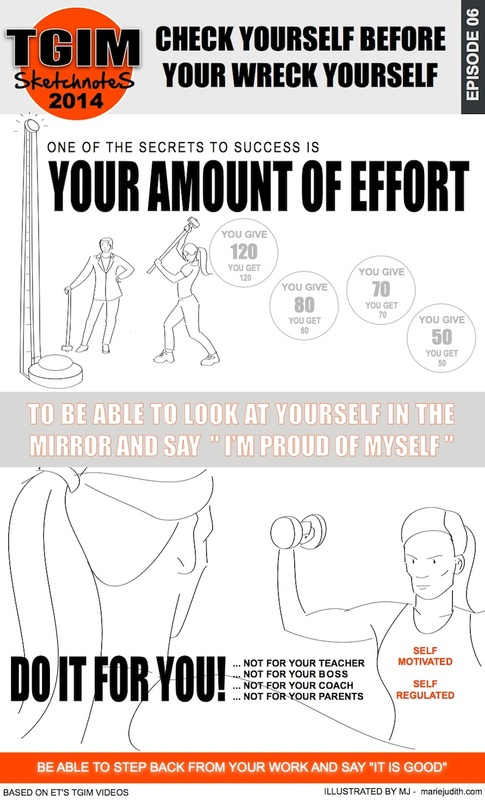 Might as well make sure you're doing something you can be proud of.